Stuart Kuritsky is a member of the firm’s Litigation practice, representing his clients in a broad range of litigation matters. Stuart focuses his general litigation practice in the areas of commercial, medical malpractice and personal injury litigation, and counsels business clients in their day-to-day matters on strategies to avoid litigation. He also participates in alternative dispute resolution, including arbitration and mediation. He attributes his success to thorough preparation. Stuart, who has 30 years of litigation experience, says that although the majority of litigation matters do not go to trial, he prepares each case as if it were going to trial, which puts the clients in the best position to achieve a favorable outcome. This work ethic has led to many million-dollar settlements and verdicts. Stuart practices in both state and federal court. A testament to Stuart’s talent and his successful track record is that his main sources of new clients are satisfied past clients and other lawyers, often adversaries, who have seen his results. Berkowitz Lichtstein’s litigation practice has earned the respect of other litigators, who are often in the best position to judge. 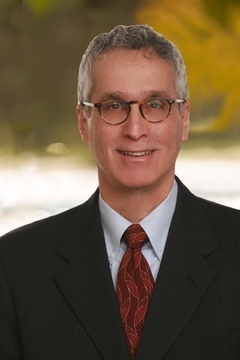 Stuart began his career as a litigator with Hannoch Weisman, one of the largest law firms in New Jersey. He soon established his own practice, which he grew into a thriving firm that evolved into Berkowitz, Lichtstein, Kuritsky, Giasullo & Gross, LLC.